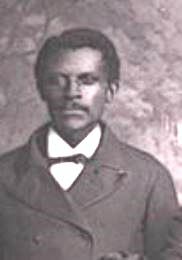 Greene Evans was born a slave in 1848 on the Degraffenreid plantation in northern Fayette County in Tennessee. He was one of the first of the Jubilee Singers and performed during the first tour around the Northern states of America in 1871-2 and during the first tour of the UK in 1873. By the following year Greene had left the Singers, graduated from Fisk University and become deputy wharf-master in Memphis. He was elected as a Republican to the 44th Tennessee General Assembly, 1885-1886. 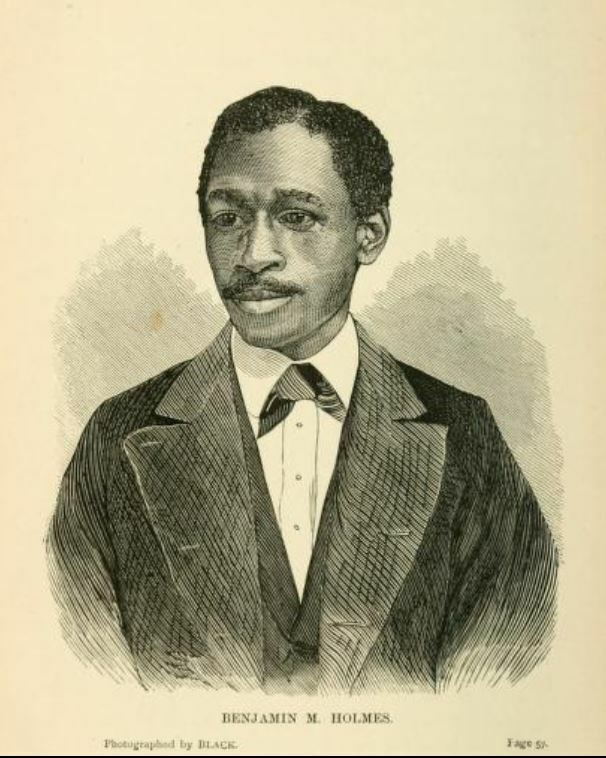 Edmund Watkins toured with the Jubilee Singers from their first tour to the UK in 1873 until their disbandment in 1878. He replaced Greene Evans and sang bass. He was born a slave in Coosa County, Alabama and picked cotton with his mother. 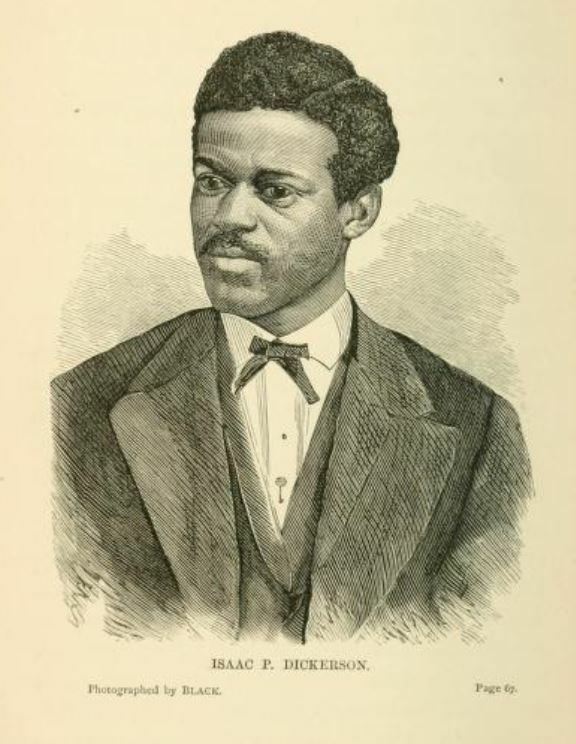 An early biography of Edmund Watkins appears in: Rev. Gustavus D. Pike. The Singing Campaign for Ten Thousand Pounds or The Jubilee Singers in Great Britain, Revised Ed, (American Missionary Association, New York, 1875), pp. 157-160. Isaac Dickerson was born a slave in Wytheville, Virginia in 1852 and orphaned at the age of five. After learning to read and write he moved to Memphis and was one of the students caught up in the Memphis riots of 1866. He taught for a while and afterwards became a student at Fisk University becoming both a singer and preacher. During his time with the Jubilee Singers in Britain he left and was sponsored to study at the University of Edinburgh. In addition he spent some time in France but returned to London where he continued to preach to the poor. He died in the city in 1900. Benjamin M Holmes was born a slave in 1846 in Charleston, South Carolina. By the time he was fourteen he had taught himself to read by studying signs on doors and his master's measuring books. He was, amongst other things, imprisoned in a slave pen, became a valet to General Jefferson Columbus Davis, a barber, and eventually a student at the Fisk University during an incredible but short life. 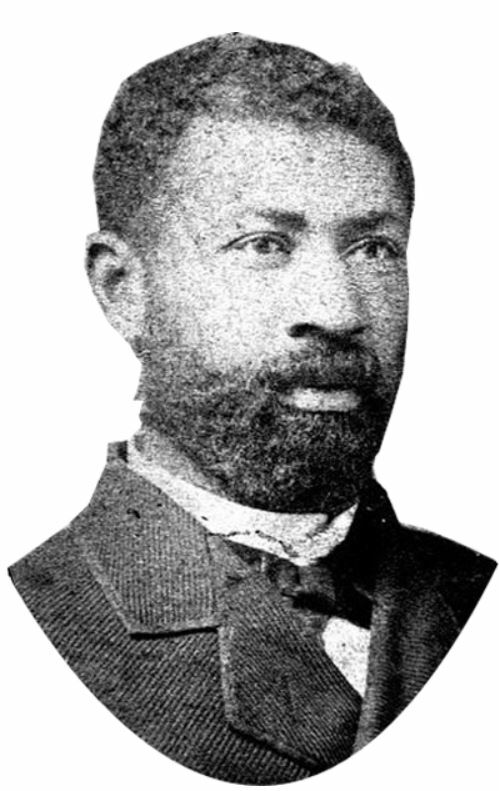 He was the Jubilee Singers most eloquent spokesman and ultimately became a deacon at Fisk's Howard Chapel. After he quit the troupe he died of TB in Nashville at the age of twenty-eight in 1875. 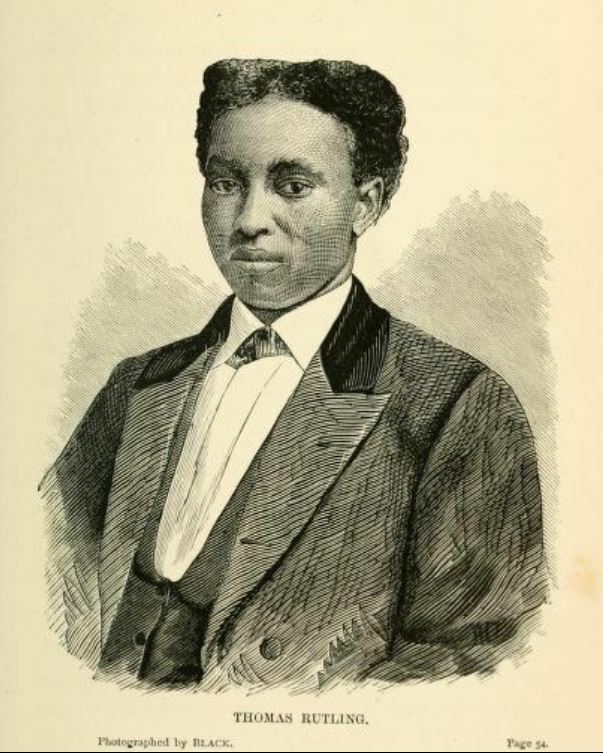 Thomas Rutling was born a slave in 1854 in Tennessee. He remembered vividly the savage beatings his mother received from her master and her eventual sale. After he was emancipated he moved to live with his sister in Nashville who taught him and his brother to read. He became a student at Fisk University and was only one of four of the Jubilee Singers to remain with the troupe until 1877. During their 1874 tour to Europe he refused to return to America because of racism and remained in Britain. He continued to sing and became a soloist known as 'the African Tenor'. He settled in Harrogate in North Yorkshire and died there in 1915. You will be able to read more about Thomas Rutling's life in Yorkshire in the forthcoming second part of our story about the Fisk Jubilee Singers. 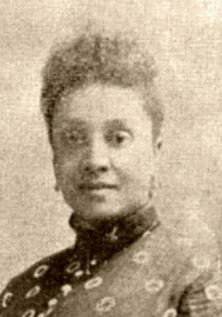 Georgia Gordon Taylor was born free in Nashville, Tennessee in 1855 to a mixed-race mother who was also free and a slave father. She became a student at Fisk University and studied literature and singing with Jubilee Singers' troupe director George White. She married the Rev. Preston Taylor and continued to sing soprano amongst Nashville's Black community. She did not complete her degree at Fisk University because of her singing duties and was posthumously awarded it in 1978, sixty-five years after her death. Mabel Lewis Imes was born 'Marie' Lewis in New Orleans. She knew very little about her parentage but had assumed her mother was a slave and her father a slave-owner. She was sent to live in the North when she was two years old and brought up by a wealthy family. At the age of ten she ran away from the family and drifted from place to place, changing her name to Mabel. She entered the Lancaster Industrial School after a "benevolent gentleman" secured her admission. She joined the Jubilee Singers in 1872 after auditioning for them while they were on their tour of the American Northern states. She retired from the singers in 1880 and married Martin H. Imes in 1885 and moved to Ohio. She is buried in Nashville City Cemetery. Marsh, J. B. T. The Story of the Jubilee Singers; with their Songs, (1873: London, Hodder and Stoughton, 1877), p. 112-113. Maggie Porter was born a slave in 1853 in Lebanon, Tennessee. At the age of twelve she went to school, eventually enrolling at Fisk University. She taught for a while at local country schools, one of which was burned to the ground by the Ku Klux Klan. 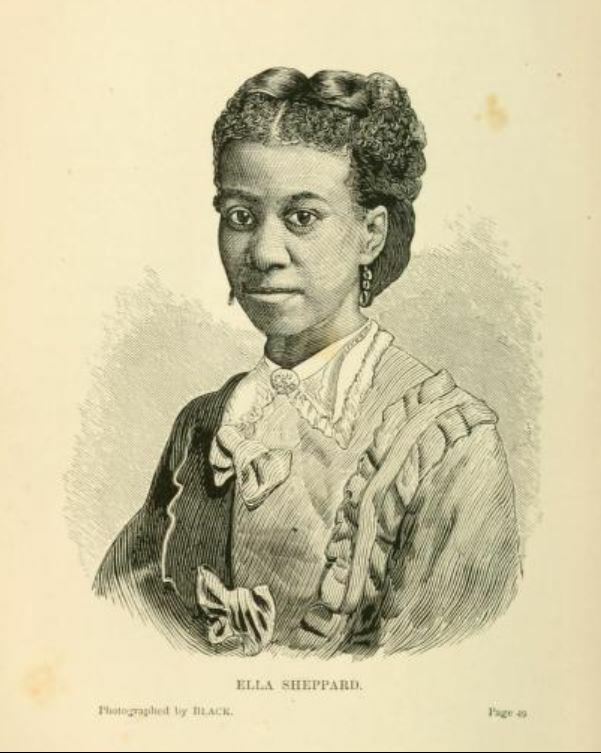 Her relationship with the other members of the Jubilee Singers was sometimes fraught and she left for a short period in 1876. 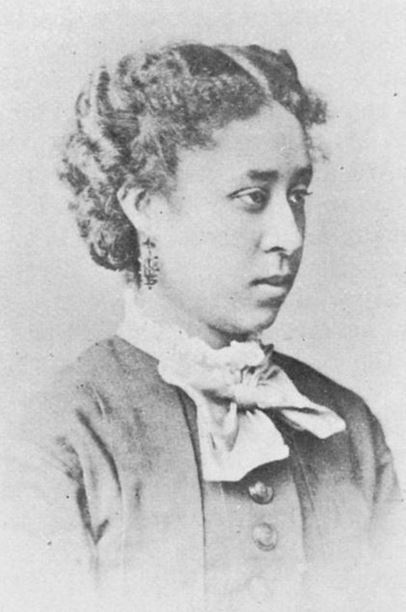 After the original group disbanded in 1878 she became a successful singer and musician in her own right. She was the longest living member of the original singers dying at the age of eighty-nine in 1942. 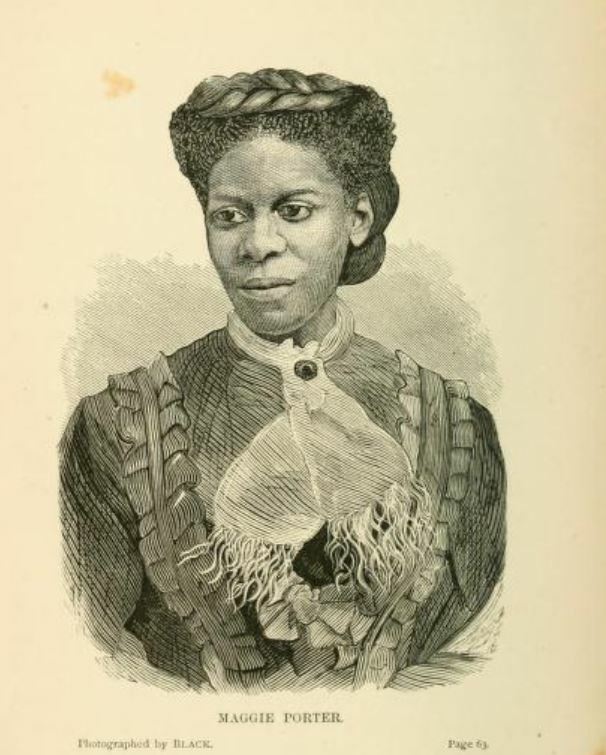 Julia Jackson was born a slave in St Louis. She was never sure what year she was born or how old she was because her master would not reveal these details to her. Both of her parents had separate masters. Her mother managed to buy her freedom and that of her siblings and Julia's ninety-year-old grandmother. Julia learned to read and write at Sunday school and her mother helped her gain a place at Fisk University. She joined the singers in 1872, but in 1876 suffered a paralytic stroke and became worse after discovering the news about the death of her mother. She remained an invalid until she died in 1890. Marsh, J. B. T. The Story of the Jubilee Singers; with their Songs, (1873: London, Hodder and Stoughton, 1877), p. 97-99. Jennie Jackson DeHart was born free in Nashville, Tennessee in 1852, although her mother had been a slave. Her mother's former mistress attempted to destroy the family's 'free papers' so that she could re-enslave them. 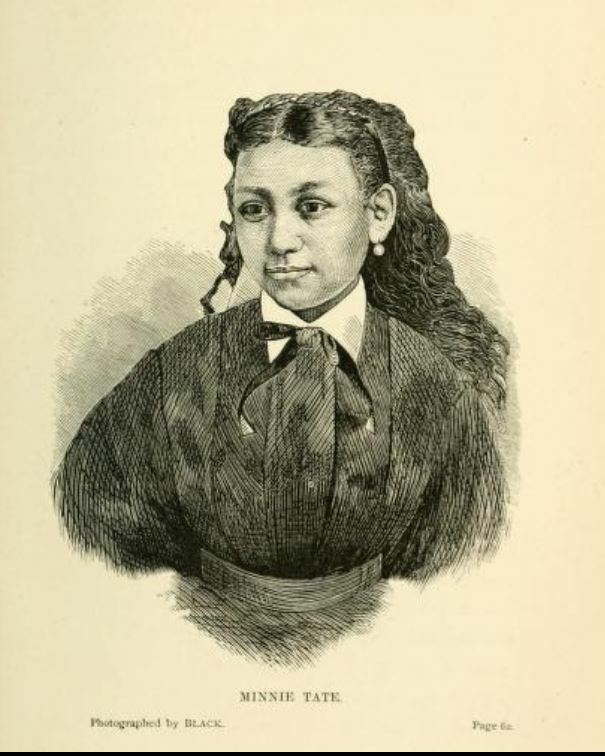 Jennie learned many of her 'slave spirituals' from her mother and became a student at Fisk University and toured with the Jubilee Singers until 1877. She married the Rev. DeHart and formed her own troupe of Jubilee Singers, The Jennie Jackson DeHart Jubilee Club. She died in Cincinnati in 1915. Ella Sheppard was born a slave in 1851 on American President, Andrew Jackson’s Hermitage plantation in Nashville, Tennessee. She was of mixed-race parentage and related to the Jackson family. Both of her parents were slaves and while her father was given his freedom, her mother was not. She fled to Ohio with her penniless father for fear of being re-enslaved. She was taught to play the piano by a German woman and taught in a school for freed slaves. She managed to save enough money to go to Nashville and enrol at Fisk University were she became a member of the Jubilee Singers. 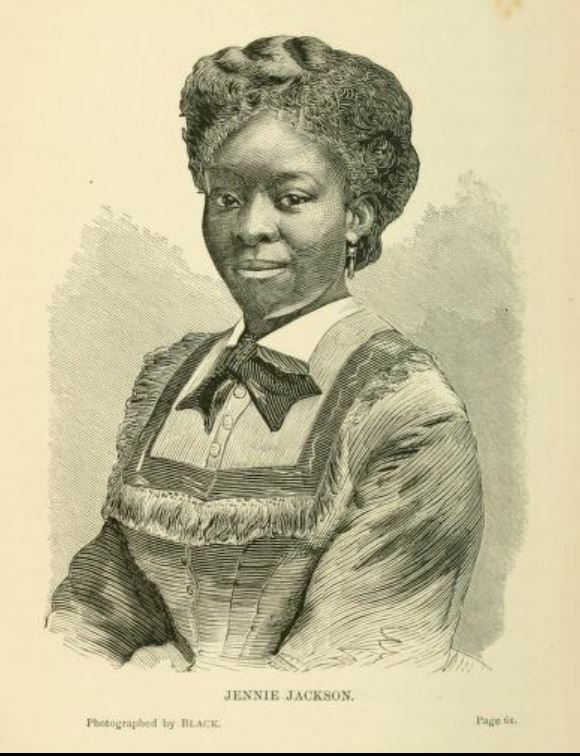 In her later years she was a confidante of former slave and biographer Frederick Douglass and married prominent Black minister Rev. George Washington Moore. They lived in one of the most affluent parts of Washington and then returned to Nashville where Ella taught at Fisk University inspiring generations of students. She died in 1915 and is considered one of the most distinguished African American women of her generation. Minnie Tate Hall was born free in 1857 in Nashville, Tennessee. Her maternal grandmother had been a slave in Mississippi. Minnie's mother was given her freedom and taught other Black children in her home, including Minnie, to read and write. Minnie went on to become a student at Fisk University. She remained in Nashville, giving up her singing because of the strain the years of touring had done to her voice. She married and died in her early forties. Marsh, J. B. T. The Story of the Jubilee Singers; with their Songs, (1873: London, Hodder and Stoughton, 1877), p. 113-115.